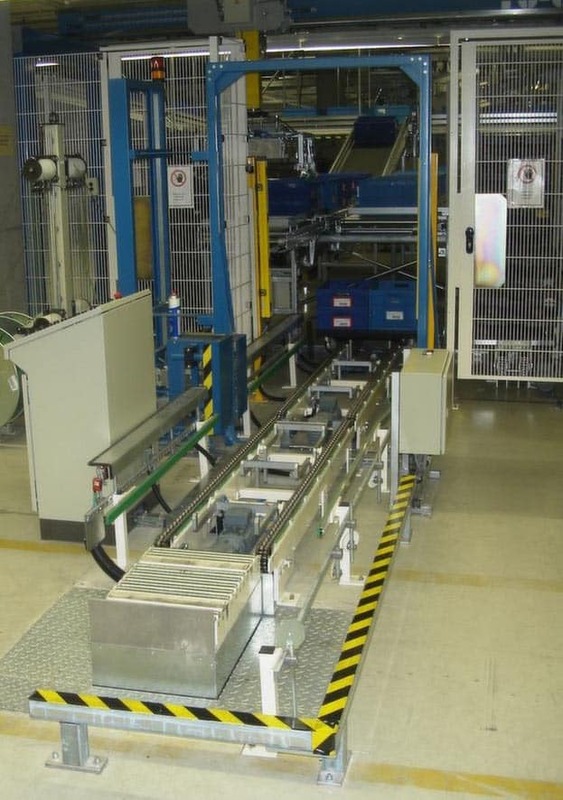 Dollies can be palletised in deicated dolly systems or as part of a centralised palletisation system. In a mixed system dollies are transported on roller conveyors on slave pallets. In a deicated system dollies are often transported on chain conveyors. The working area of the robot is square, maximising space utilisation. The legs of the gantry can be customised for low apllications or high applications such as off a 2m infeed conveyor.